What an exciting time it has been for those who follow Clay Aiken. Clay Aiken is a Super Star! Yes, I have said it before and the last few days are saying it again. When Clay speaks, everyone listens!! 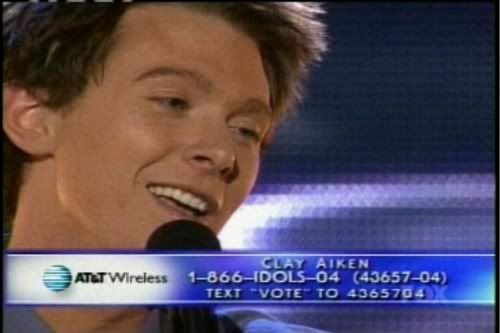 Because of a few tweets, Clay has trended on Facebook, had numerous mentions on many TV and radio shows, and…if you do a google search “Clay Aiken/American Idol” there are over 3 million sources. Today, I have only a bit more information to share. I did add a new blog on Thursday afternoon. 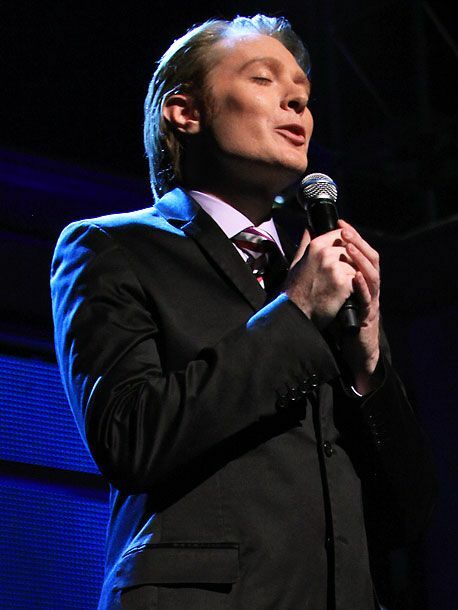 If you missed it, it is titled Clay Aiken Headlines The News. It includes a great video from American Idol. Ok. That military mom showing up on @americanidol just tore me the hell up! Wow! I’ve got chills. THAT is good TV! Yes…I watched and I agreed with Clay! Who Really Won Each Season of American Idol. It’s a picture article with 2 pictures for each season. Fortunately, the picture of Clay is excellent. The following are some dates from Idol Forums. They have a list of the different episodes of American Idol. I am posting the dates that might include Clay. Tuesday April 5 – (8:00-9:00 PM ET/PT) – Retrospective, including alums, judges, etc. Of course, this is just an educated guess. We will all have to listen and share if we hear Clay will be on the show. So what will happen today? I hope we get some more great news/tweets/ a periscope from Clay. It always makes my day just a bit better! It always amazes me, that when Clay speaks, people listen! Whether they agree with him or not. Looking forward to the coming weeks on American Idol now, and to Clay's tweets! I agree with Clay. I have not watched AI in years. Watched Tuesday night I understand why the ratings are down. BORING! However several site ripped him for "trashing" of the show. I don't think he meant it the way it sounded. All the judges are sweet & afraid to hurt feelings it seems, no one to start controversy. They need it. Anyway I hate the negative posts. LOVE the positive ones. It has been an amazing 2016 so far. Thanks for all the pasts CANN. Keep them coming. The picture shown above is from Celebrity Apprentice when he and Arcenio sang Lean On me. Once again, should have won. You're right Musicfan…when Clay speaks…people listen. Apparently on Wednesday's nite show…Clay was spot on…There were no mentions of AI….the next day…but Clay was all over the place….That tells you something right there. We have had lots of Clay exposure already this year, and it's only the 8th of January. I'm fine with that!!! Thanks as always Musicfan for bringing over what we need to know!!! Error: Error validating access token: Session has expired on Tuesday, 21-Aug-18 16:13:01 PDT. The current time is Friday, 26-Apr-19 00:05:47 PDT.